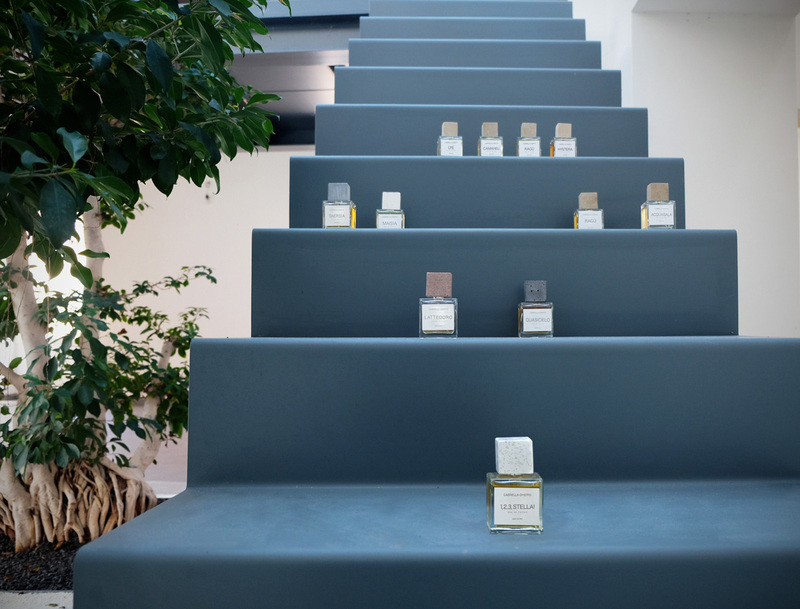 The creations of Gabriella Chieffo sublimate the most authentic part of us in an idyllic olfactory trip which originates in memory, finds lifeblood in introspection and finally arrives at a stage of redemption and then rebirth to a new life. The search for lost time is expressed through an olfactory plot line which, starting from the 2014 collection, winds its way through the narrative power of Lye, Camaheu, Ragù and Hystera, four fragrances the intense use of which will create an epiphany of our own past. In 2015, with Acquasala and Variazione di Ragù, the search for the self, the profound, mediated by reflection, affixes its distinctive seal to the emotional heritage rooted in all of us. With the 2016 collection, the olfactory parable has been enriched by a concept of femininity, of a woman, taken to the extreme, where experience becomes meaning and destiny fulfilment. In 2017 the olfactory path evolves again telling the story of a division, of an almost axiomatic dichotomy which translates into a feeling of radical and unacceptable unsuitableness so to take to the extreme decision to born again in another essence. With Collection ‘18 Gabriella Chieffo claims the right to be fragile, to ask for help, even to keep silent. An ode to the rarest and most intense way to love. With Collection ‘19, Gabriella Chieffo writes a new chapter of her intimate olfactory history: balance/equilibrium. In physics, the resting state of a body, perfectly balanced between a system of internal and external forces, which remains constant over time. In relation to the human soul, the sense of measure, of control, of weighting in terms of actions, emotions, feelings.